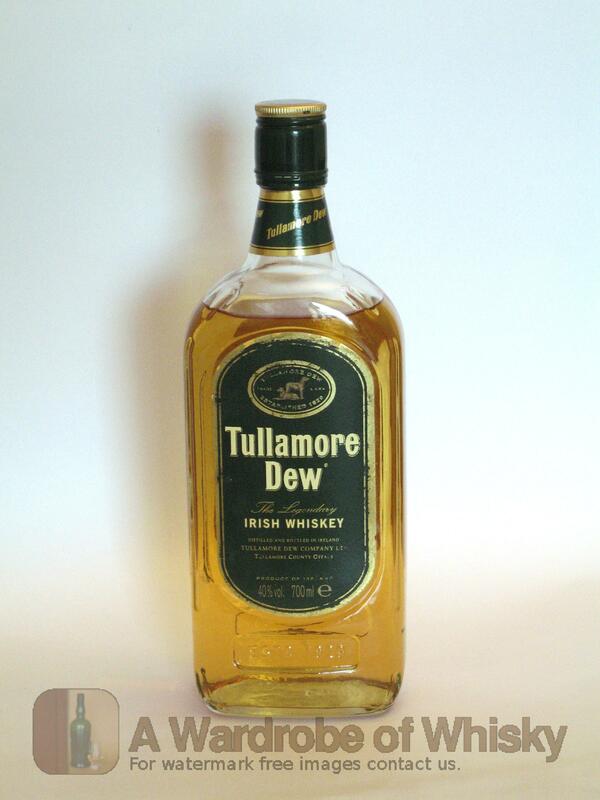 Tullamore Dew is the original blend known the world over for its smooth and gentle flavour. This mild blended whiskey has spicy, lemony and malty notes with charred wood undertones giving a soft, buttery, rounded flavour that lingers in the mouth. 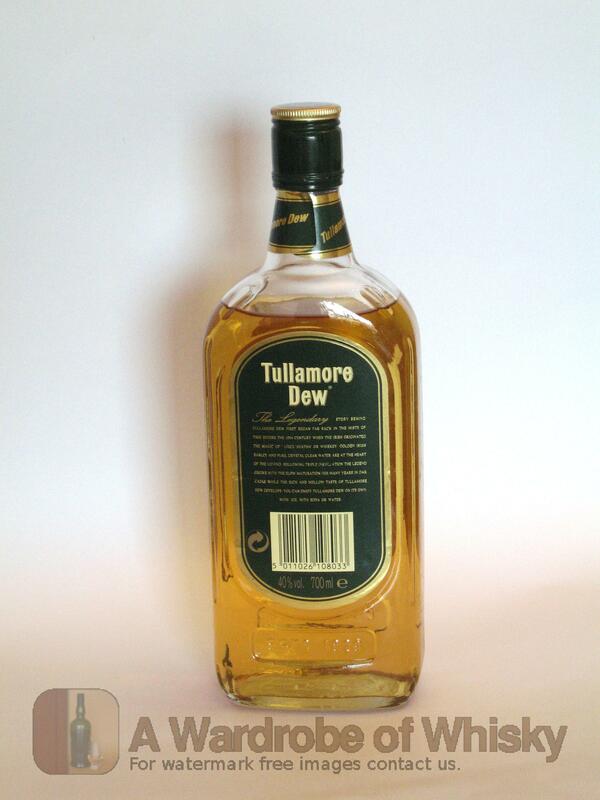 Tullamore Dew is also widely acclaimed by whiskey connoisseurs; in 2005, it won a much-prized trophy at the International Spirits Challenge, the highest accolade in the drinks industry. The trophy was one of only four awarded to over 700 drinks products entered by companies all over the world. Nose (78): average. honey, floral, citrus, alcohol, vanilla. Taste (82): light, smooth. honey, citrus, sherry, pears, cinnamon. Finish (81): average. citrus, honey, vanilla. These bottles have been chosen over others because their nose, taste and finish are more similar to Tullamore Dew Blend than the rest. Go to Whisky-o-matic page to fine tuning other settings.